Miss Carol makes a mermaid! I made a motorcycle for the local Harley-Davidson dealership! Princess balloons for a princess party! Choose Carol's Balloon Art for your next event! Carol can make all sorts of amazing balloon creations. Local awards include: voted #1 in Birthday Party Entertainment in the 2015 AND 2018 Lowcountry Parent Moms Choice Awards and in the 2016 Post and Courier Charleston's Choice. No event is too small! Birthdays, Grand Openings, School Events, Church Functions, Restaurants, and Corporate events. Repeat clients include: Kiawah Island, Freshfields Village, Coconut Joe's, Wild Dunes, Citadel Mall, Kickin' Chicken, Chick-Fil-A, SC Federal Credit Union, Heritage Trust Federal Credit Union, Coca-Cola, Charleston Cup, Wild Dunes, and many more. Call or text me at 843-813-1403! Carol was wonderful for my 4 year olds birthday party. She was easy to work with and organized. My daughter and her friends loved her balloons- she is extremely talented and made sure every child at the party was happy. Highly recommend!! 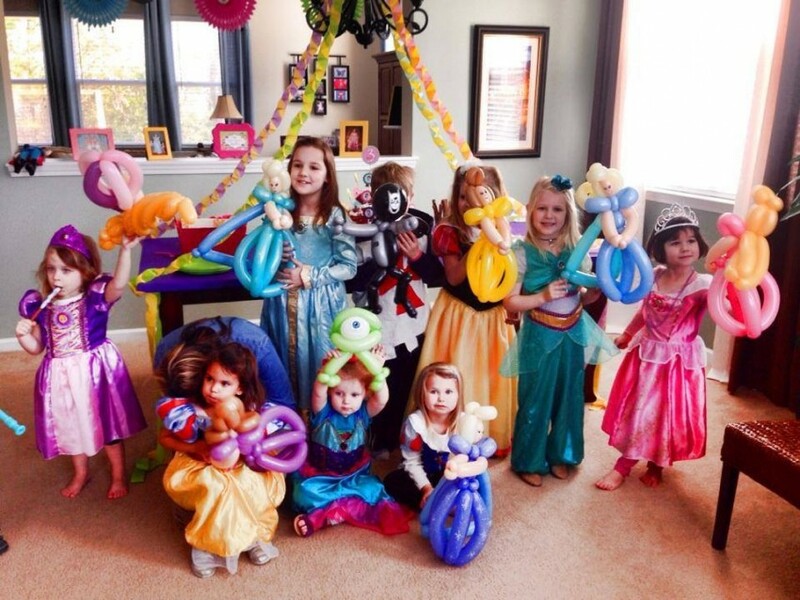 Best 2year old Party EVER! I booked Carol for 2 hours and she was busy the entire time! I was impressed with Carol's patience at this party as the children were so excited for their balloon art that they all stood around her waiting for their turn. She handled it well! They loved their balloons & had SO MUCH FUN playing with them. I cannot say enough about having her at the party. My older children still talk about her & the cool balloons she made & they want her at their parties too. She was fantastic. The adults had fun getting ballon art on their head bands too. I look forward to having her at another party. This truly was the best money I ever spent. The best mermaid I have ever seen! Carol was just at a fundraising party I was attending and she made the most incredible Mermaid I've ever seen!!! Thank you Carol! Just wonderful. Wedding Fun for All Ages! I knew I would have a lot of kids at my wedding reception last month, so I got crafty and hired Carol. What a great decision that was! Kids of all ages had a blast!!! Everything went so smoothly and balloons were everywhere! On the dance floor, in the photo booth, everyone was having a great time with Carol's balloons! It was such a fun and unique thing to have at our wedding celebrating two unique people! I will definitely keep Carol in mind for any time I might need a balloon twister in the future! My biggest regret of my own wedding was not having the time to stop and get my own balloon!!! Ms. Carol came for my sons 3rd birthday. 15 kids of varying ages were entertained for 2 hours! The special piece she created for my son was AMAZING! We will never had a party with out Ms. Carol again!! My kids (3 & 7) are obsessed. Awesome party!! Thank you thank you! I can not say enough about Carols Balloon Art! Our restaurant hired her for 1 night a week for 8 weeks. Our customers love her & so do we. No one else in the Lowcountry is as good as Carol is at her art! She is extremely professional and very good at her balloon art. She creates amazing balloon creations. Hire her immediately. You will not be disappointed. We are looking forward to having her back at our next event. We had a great time with Carol at our Sunday School Rally Day! She made balloons for all of the kids & a fantastic sculpture/centerpiece for our luncheon! She is certainly the best twister that I have ever met! She is organized, has professional character, is always prepared, and goes out of her way to make each guest feel like a superstar! We have used her at our Chick-fil-A events, both large and small, and she certainly is a step above them all! Carol came for my youngest son's birthday party. I had won an hour of free balloon making during the Flowertown Festival in Summerville. Carol showed up on time, dressed in a fun and cute outfit and had the kids' attention the whole time. She was engaging and the guests and I were impressed with all of the things that she was able to make with balloons! She was very patient and did a great job of making the party guests happy. You won't go wrong with booking her for any event. Great entertainment for kids' parties! Carol has done birthday parties for each of my 2 daughters and both times everyone had a great time! She made beautiful and elaborate centerpieces for the birthday girls and each of their friends got to take home their own special balloon art as well. I highly recommend Carol for children's parties at any age. Booked Carol for my daughters 8th birthday. Communication about the party details were excellent. 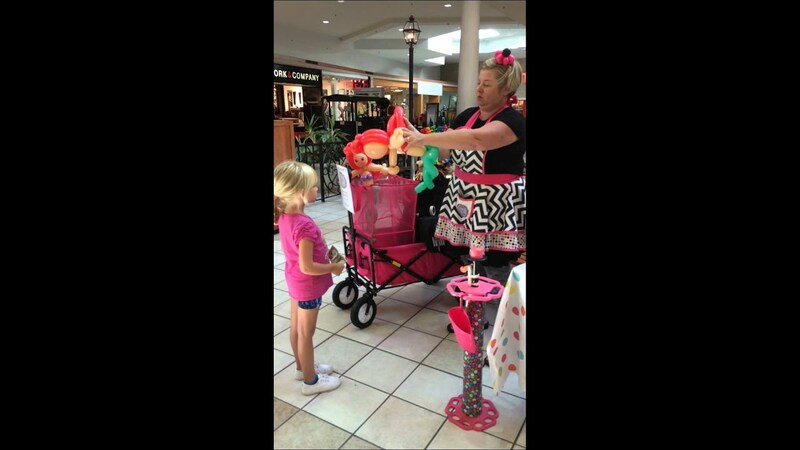 She captivated the 12 girls working her balloon magic! We had a mermaid theme and Carol was so accommodating to those who wanted something 'different.' A huge hit! my daughter turned 1 years old and we had her birthday party at the house. Carol came and did balloons for all the kids. she was great. the kids loved the balloons. Carol was able to fit me in as a last minute addition for my son's third birthday party and we are so lucky she did! She kept the kids entertained the entire time and was patient with all of the kids! She is worth every penny and I highly recommend her for any event you need her for!!! Carol's Balloon Art was a HUGE hit at Charlie's 3rd birthday party!! The balloons added to the entertainment, and the children and adults were amazed by her talent! Carol did a fabulous job at my sons's 3rd Birthday party!! All of the children were very pleased and entertained with her work! Mrs. Carol was amazing. I booked her for my daughters 5th birthday party and she was AMAZING. I would recommend her to anyone who's looking for a talented balloon twister. Thank you so much for making my daughters birthday a success. I look forward to having your service again. Simply AMAZING!! 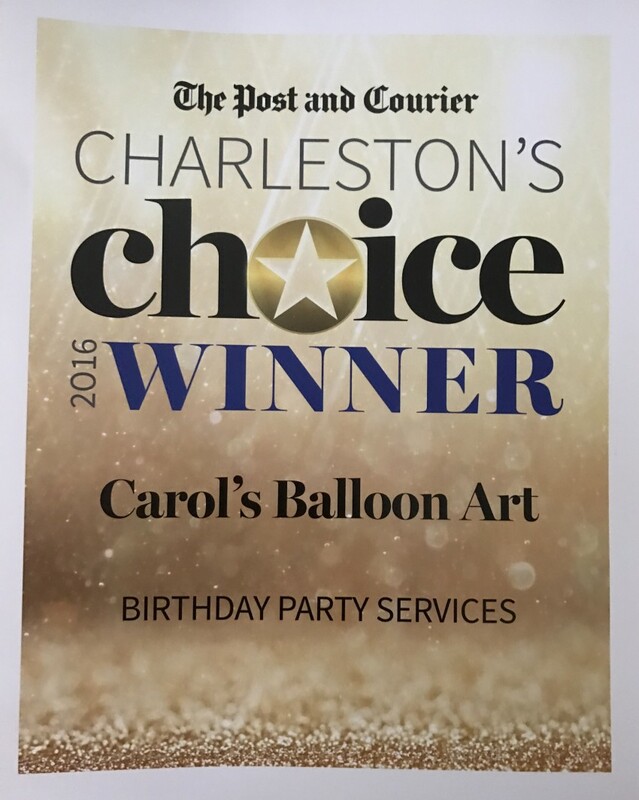 Carol - Best Balloon Artist in Charleston! Carol will define your event with a mountain of color and high energy - no one will ever forget when they had the best time of their life! Carol knows how to create balloon art AND most of all - Carol knows how to help celebrate the child in all of us! We use for everyone of our birthdays, events, you name it! She is just simply the best! We had Carol at our 3 year old daughter's birthday party and she was so wonderful. She is super talented, and was also patient, fun and easygoing with the kids. My goal was to have a party in our home (rain or shine) and entertain/manage a bunch of kids (11) while also being able to catch up with the other parents. Carol was perfect and did so much in one hour. Her talent actually blew me away, I think she has got to be one of the best balloon artists out there. She made a Princess Sofia centerpiece as tall as my daughter, with perfect details and a hand painted face. It is still in awesome condition days later. The balloons for each child were equally awesome, each one a work of art. Such a great experience, thank you, Carol! Carol's Baloons was a perfect choice for entertaining our kids at our Church Fall Fest. Carol is amazing! Call her! I booked Carol for an hour an a half party and it was wonderful! she was able to create everything requested for children and adults too! We ended up keeping her another 30 minutes because everyone was having so much fun! Very professional and likable! Created a beautiful Olaf and Elsa for the birthday girl. Party was at a park but every kid was glued to her and I don't think they realized the park was even there! Carol was contacted less than 24-hours before the event, because our expected balloon artist canceled. Carol was very accommodating in saying yes to this last minute request. She was so much fun and the kids and kids at heart "loved" her. So much so, I had to ask her to extend an additional hour. She pleasantly obliged! She is a fantastic artist. We were simply amazed at the balloon art designs, and the kids jumped in anticipation of her completing their balloon character. While it was stressful trying to find someone reliable at the last minute, it was such a blessing to meet Carol and have her at this event. We will definitely be using her again for future events and highly recommend her services. Thanks again Carol....you're the best! I booked Carol for my son's 5th Birthday party in which the theme was dinosaurs. Carol told me she didn't have much experience with dinosaurs but would come up with something and she did not disappoint!! My son loved his dinosaurs so much they are still in his room a week later :) The kids also loved being able to pick whatever they wanted (including themselves)!! By far the best balloon twister I have come across! Carol came out to work her magic last weekend for my brother's wedding rehearsal dinner and she was a big hit! Everyone agreed that her artistry was amazing and the kids loved her! She was even able to make an ant and a grasshopper (not an easy task) for the bride & groom!! She was on time and professional but still fun and engaging with the kids. She truly goes above and beyond. Our event ran a little over, time-wise, and (after asking me what we would like to do) she was even able to stay late! We will absolutely be booking Carol again in the future!! Carol performed her balloon art for our daughter's third birthday party. She is so talented, and it is really amazing to watch her work! She arrived on time with a gorgeous balloon for the birthday girl. She set up and got started right away, entertaining the children and adults too. She captivated her audience, interacted well with the children, and her creations were awesome! Every time she created a balloon for a child, he or she would get a huge smile. It was really a fun way of giving each child a special and personalized party favor, and we look forward to having Carol at future parties. Every step of the way, Carol was personable and responsive. She is reliable and she made the whole booking and planning process so simple. We couldn't have been more pleased. Carol's Balloon Art Makes Summer Reading Party a Hit!!! I am head of the Children's Department at the St. Andrews Regional Library. Carol provided balloon creations and characters for 50 children at out summer reading finale party. We watched Frozen and had ice cream sundaes so the most popular balloon request was Anna and Elsa for the girls. She also made fabulous swords and flowers. Due to the size of the crowd, we had to limit the selection. But I have seen her in action at other events and she can make almost anything a kid can imagine! I highly recommend hiring her for your next party and plan on using her services gain and again!!! Carol is awesome! We hired her for my son's 1st birthday party. She kept in touch with me before the party and arrived on time the day of. She was energetic and great with the kids! They loved her! She can make a very wide assortment of balloons....lots of things for both boys and girls. She also made sure that every child at the party received a balloon before she left. I will definitely be using her again in the future! Carol was so easy to work with and parents and children alike were mesmerized by her work! She made so many different things that pleased our guests from 2 through 9 years old! Highly recommend for any event, the kids and grown ups stayed happy and entertained. The bounce house and swing set was ignored while Carol was twisting. She even made a Smurfette on the spot! I would recommend Carol for any party! She is very talented and has an awesome personality! She was great with kids! She was so much fun to be around! She will keep you laughing!! Thanks Carol for being at Texas Roadhouse last night! It was a great addition to our dinner! We so enjoyed meeting you! I am a very satisfied mom. I saw the lovely work by Miss Carol before I met her and the work spoke for itself. I knew then we had to have her for our 3 yr old's party. I called her and she was very professional and knowledgeable about the products and services available for her field. She made great suggestions that helped make things run smoothly the day of the party. The day of the party more kids showed up than expected and she didnt turn them away. She stayed flexible and agreed to stay longer to help me. I highly recommend her for your childrens' party. She would even be great for adults because I had many parents see the work and ask for their own creations. Please use Miss Carol. She does not disappoint. Carol's Balloon Art is FANTASTIC! Carol came to my house for my daughters 4th Birthday party. I was beyond pleased with what a wonderful job she did. She contacted me prior to the party to find out what my daughter liked and then surprised her with her own Sophia the First princess balloon. The balloons she made for the kids were amazing. not only did the kids have a blast, but all the parents loved watching her make them all too! Carol was very patient with all of the chaos and went above and beyond to make all the kids happy. I would gladly recommend her to anyone and will definitely be using her again in the future. She was FANTASTIC! We hired Carol for my 3 year old son's birthday party and she was a hit right away. She worked non stop and the kids were so excited about their balloon creations. Carol is very professional, arrives on time, very approachable for the kids, and didn't mind when we had extra kids at the party then what we had initially allotted for. You won't regret your decision to have her at your party and for birthday's it's a great party favor as well! Carol was wonderful. She was available last minute and very flexible with times. We had a birthday office party for two of our employees and Carol was extremely creative with their hats. Very talented. Everything she designed was fabulous and was able to design animals off the cuff. Thank you so much!! I had Carol over for my daughter's birthday, Carol was amazing she not only made things for children but adults to. She even came up with something on the spot.. look foward to using her again. Carol created a Balloon Tower for my son's second birthday as she was already booked for another party. She went above and beyond to create a unique tower for the guests and also created a wonderful balloon just for him. She contacted me the day before the party to discuss final details of the Balloon Tower so that it would be perfect! We had the pleasure of having Carol do our son's first birthday party. Most of his guests were between 8-10 and everyone from the 1 yr old to the adults were watching as she created exactly what was requested by each guest. She doesn't waste time and gets to entertaining immediately. While her ballroom sculpting is fast, it is not sloppy. Great communication and wonderful, friendly personality. I hired Carol for a 30th birthday party. I, and all of my guests, were absolutely blown away by her ability to create balloon masterpieces in a short time. She was open to my guest's requests and so much fun to have as a part of the celebrations. As just one example, a guest showed Carol a picture of her dog on the beach and Carol was re-create the picture! Also, she pre-made a hat for the birthday boy, which really helped set the tone of the party and showed off her impressive balloon twisting skills. We aren't talking little wiener dogs and snakes, she had created this amazing beer-filled mug with a bubbly head that had a glowing light in it! Carol was professional, timely, and a genuine pleasure to have at my party. I would not hesitate to recommend her for any function and would absolutely consider her services in the future. I ran the Charleston Marathon in 2014. Carol's Balloon Art made me a tiara at the post-race party to commemorate my accomplishment. It was cute and had lots of detail. She's not your average "balloon poodle" twister! Lots of intricate designs! Keep up the good work! simply wonderful. mezmorized birthday girl. I hired Carol for my daughters 3rd birthday party, and she was amazing! I will definitely be recommending her to my friends in the future! Jackson's 10th Birthday - Awesome job by Carol! Carol did a wonderful job not only with her balloon twisting but also having lots of patience with a group of 9-10 year old boys! They had a great time. Your work is amazing, Carol! Jackson loves his zombie. It was a pleasure meeting you. I look forward to seeing you again in the future! I had an opportunity to hire Carol for my daughters' birthday for the second year in a row and the second experience was just as awesome as the first. She is very professional and the kids absolutely adore her personality and talent. It seems as though the adults were equally as impressed as the kids. I have already scheduled my next appointment a year in advance. Thanks again Carol for the wonderful experience! I hired Carol for my son's 5th birthday party and we had a great tine! The kids absolutely LOVED her!! She's also really good with the kids!! We hired Carol to work her magic at two of our annual fall literacy carnivals where local area schools gather together to celebrate literacy. Students of all ages lined up to get balloons from Carol. They LOVED her creations! Carol was extremely professional and her positive attitude and smile was contagious! I highly recommend Carol for events large or small! She's AMAZING!! Carol was so great! She arrived on time with some adorable monsters (monsters was our theme) already made for our birthday boy. We had over 15 preschool aged kids that she patiently engaged. She ensured each one received a balloon creation they were happy with. She really helped make our party a success. We are looking forward to having her back at our next event. Carol did a wonderful job at the Minecraft birthday party I had for my 2 children! She was able to make several things Minecraft related that I thought would be impossible as minecraft is blocky and balloons are not. I was very impressed with her all around. She was great with the kids very patient and kind to them and was able to make everyone of the kids (and adults too) at the party happy! I will definitely use her again in the future and recommend her to anyone looking to have a great event! We had a great time with Carol's Balloon Art!! Amazing service, great person, and the kids loooooooved her and her designs! Thank you so much we look forward to working with you on many future projects! We hired Carol for our daughter's 4th birthday and what an amazing time we all had (the adults and children). Our daughter is a HUGE fan of Lalaloopsy. Carol took time out of her schedule to pre-make Princess Anise, the balloon was spot on...looked just like Princess Anise. We are so happy to have chosen Carol for our party...We are already planning next year!!! Thank you, Carol, for making our party very special!!! Such a amazing expirence ! Best balloon art I have ever seen! Made everyone at my daughters party.... Including the adults :) she did anything that was asked and was such a pleasure to be around! Made the party even BETTER! Carol's Balloon Art came out to my son's 6th birthday. My son was having a Thomas the Train themed party. Carol went above and beyond to make sure my son had an even better party than I planned for him. She worked on making sure she could make a Thomas balloon for my son before his party since she had never done one before. She did not disappoint. My son was soo happy with his Thomas balloon and all of our guests thought it was such a cool and fun idea to have a balloon artist as the party's entertainment. Even if a balloon accidently popped, she was patient and made sure everyone was happy and got a new one! :) I highly recommend Carol and I look forward to having her at my future parties. Carol's Balloon Art helped to make my daughter's 7 year old party a huge success!!! Carol was very professional, on time, adaptable, and VERY creative! She was able to accomodate the requests from the children with a smile! I definitely recommend Carol's Balloon Art!! 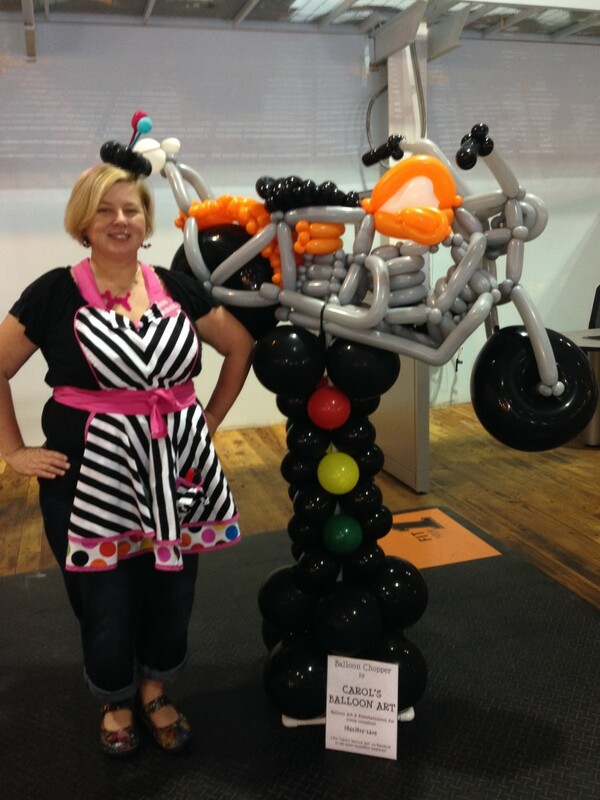 Insurance: $1,000,000 - Carol's Balloon Art carries full liability insurance. I can't tell you how many times people have told me that I am the BEST balloon twister they have ever seen! I come to your location with my well-stocked balloon bag (thousands of balloons!). I make balloon princesses, superheroes, animals and more for all of the children at the party! I will often get requests from adults - and I try to get to those once I have made all the children happy. I usually get a group gathered around to watch me make all sorts of crazy things from colorful balloons. I chat and interact with the kids and adults - I like to joke around and be silly too. I make things that other balloon artists in town don't make. Children of all ages will be thrilled with their balloon creation and adults at your party will be amazed at my creativity and leave your event remembering YOU and YOUR PARTY where they had an awesome experience! 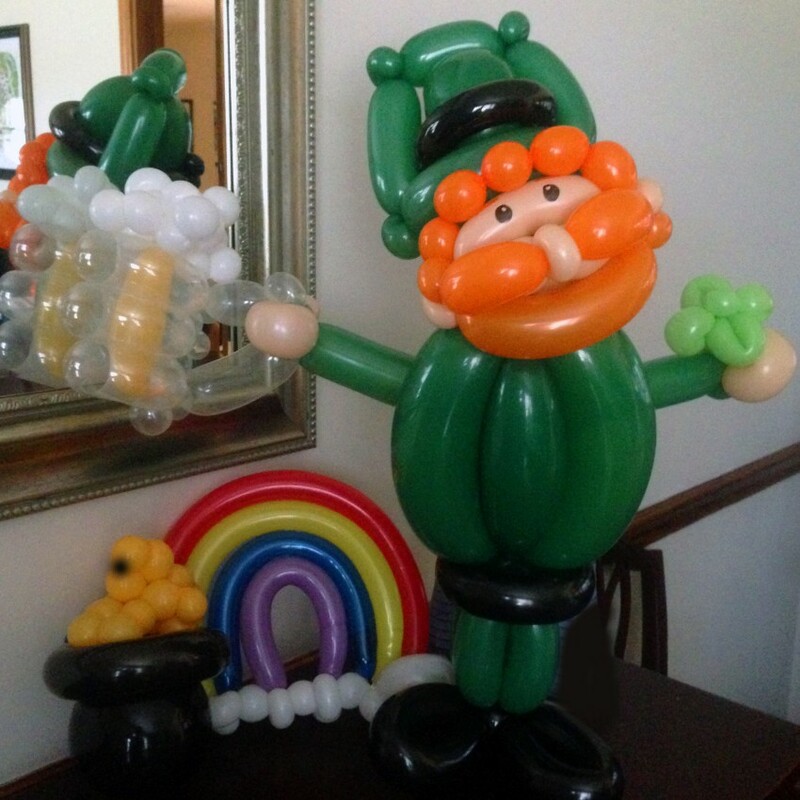 Have Carol's Balloon Art at your next event and create great memories! Charleston resident since childhood. Graduate of the College of Charleston. I am happily married and the mother of a high school senior and a junior in college. years! I have many years of experience with children of all ages - from little kids to teenagers to college students to adults! I can entertain just about any crowd with my awesome balloon skills! constantly updating my equipment and costuming to provide a professional level package for you. I also carry lliability insurance for my business for your piece of mind. I want you to be completely thrilled with your experience with me! I want your friends/guests/employees to be talking positively about your event for weeks, months, and years to come! I do not require anything more than a shady spot to stand. My line forms quickly, so it's best if I am situated away from where people are congregating for other activities. I bring a huge variety of balloons in so many fun colors! I also use a standing air pump. I work with a balloon apron around my waist, so I don't need any special chairs/tables/etc. I do use latex balloons (they don't make twisting balloons out of anything else), so please be aware of any latex allergies or concerns of your guests. I make so many different things - it's hard to list them all... Whatever I make is typically made using three to seven balloons with a variety of colors. I do hairbows on animals for girls. I draw faces on the characters. I take the time to make them CUTE! Superheroes/Boy stuff - Batman, Spider-Man, Incredible Hulk, Iron Man, Ninja Turtles, Football Player, Alien in Spaceship, Helicopter, Motorcycle, Sword, Ray gun, etc. Princesses/Girly stuff - Ariel, Cinderella, Belle, Sleeping Beauty, Rapunzel, Tiana, Tinkerbell, fairies, princesses/mermaids custom designed by your child, and more! Animals - (way too many to name but here's a sampling) - Elephant, Dolphin jumping out of water, Penguin, Shark, Turtle, Dinosaur, Lion, Frog, Dog, Cat, Bunny, Fish on fishing pole, Octopus, Horse, Unicorn, Monkey in a Palm Tree, and many more! a shady spot to stand and some sort of overhead shelter if there is rain!